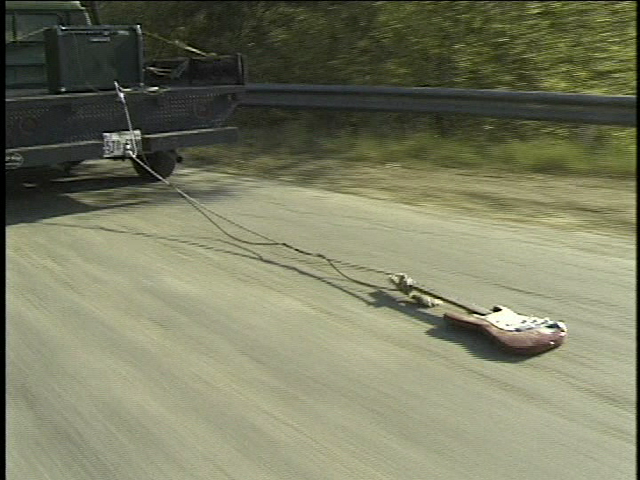 Marclay's 2000 video Guitar Drag is a 14 min audio work showing an amplified Fender guitar being dragged along by a rope attached to a pick up truck in San Antonio, Texas. 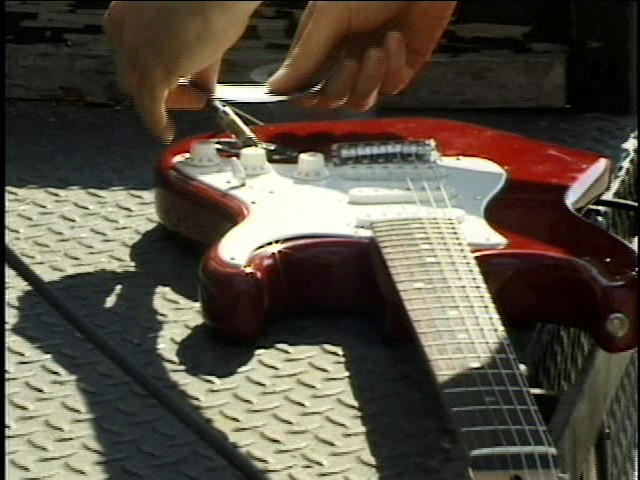 An iconoclasm of the western perception of the electric guitar, Marclay weaves together the ritualised smashing and droning of the instrument so often seen at rock gigs with an association of the history of lynching in the deep South. First performed as a video work, the piece has gained notable fame as an audio work and was later released as a limited edition vinyl record on 'Neon Records'.